Hi! My name is Michelle and I’m a believer in Jesus Christ. I struggle with worry, guilt, depression, food addiction and many other things on the A to Z list.This is how we introduce ourselves at Celebrate Recovery on Thursday nights. Celebrate Recovery is a program that was started at Saddleback Church where Rick Warren, the author “The Purpose Driven Life” preaches. It is similar to Alcoholics Anonymous, but it is Christian-based and not only deals with addictions, but helps anyone who has a hurt, habit, or hangup. Those of us who are involved in the Celebrate Recovery (also known as CR) ministry, consider ourselves as “one of those people”.I currently live in NC and use to attend a non-denominational Christian Church and was very active. I sang in the choir, started a program called Confident Kids, lead a step study group at CR, and I sing in a praise band. However, the most important thing I think I did at the church was to have the opportunity to baptize someone who was helped by the CR program. If you have never heard my testimony, you’d think I have my act together especially if you knew that I worked since I was 14, taught school for ten years, have been a manager, coordinated a human United States flag with 500 children, and even was teacher of the year in 2004.However, that is what you see on the outside. When someone says, “Hi! How are you doing?” I am that all put together person who says, “fine thanks”.A program designed by the church had home bible fellowships. During one of those lessons, we learned that we as humans don’t want people to know that we are having a hard time. We oftentimes think our issues are no one else’s business. 2nd Corinthians 12: 9-10 says, “Therefore, I will boast all the more gladly about my weaknesses, so that Christ’s power may rest on me. That is why for Christ’s sake, I delight in weaknesses, in insults, in hardships, in persecutions, and in difficulties, for when I am weak, I am strong.In John 16:33 He promised that in this world, we will have trouble. 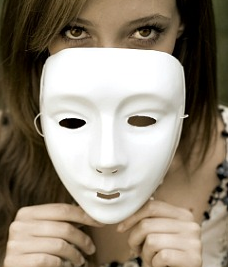 Wearing a mask is refusing to get real.Are you willing to take off your mask?I am going to take mine off right now. Going back to appearing like I have things in my life in order…I am divorced, I am on disability for a variety of health issues including having bipolar disorder.I have been battling with this chemical imbalance once known as manic depression since I was thirteen. I don’t have enough time to go into the details of the disease and what I have endured. One thing I will say there is a stigmatism on mental illness and I hope you are not one of those ppl who are fooled by how we are portrayed in Hollywood. I have been admitted to many hospitals for a variety of reasons. However, I will take off my mask and let you know that I have been admitted to so many psychiatric hospital that I have lost count. Thankfully, I have never done drugs or had a problem with alcohol and I thank our Lord for that. I am not ashamed of who I am. I am one of God’s children. What you see under my mask is really not that much different than what you would see under yours or anyone else’s. God has blessed me with an awesome family who has been there for me thru it all, great leadership skills and determination. With that, I have been able to raise awareness of what my illness is and how ppl are treated in psych hospitals. I have written to several politicians, CEOs of insurance companies, administrators of hospitals and know my voice has been heard. One example, is that I got a signed letter from President Clinton thanking me for my efforts and encouragement to keep fighting. When you write a testimony, it is suggested that you should talk about your life before Christ, how you found Christ, and how your life has changed since you found him. I believe I have always had Christ. I remember while very manic one time laying on the sofa with my dad feeling a special connection with God and have never really lost that feeling. He has been there for me all the time. One story I like to tell is that I was in the hospital one time for pancreatitis and my nurse came in and asked me how I could be so positive. I told her that I know that Jesus was with me and taking care of me. A few days later, I had the same nurse and she told me that she and her family went to church for the first time in three or four years. That is awesome! God has worked thru me in so many ways over the years that makes it worth all the struggles I have endured. It helps to know that someday I will be with him in such a marvelous place! This entry was posted in Uncategorized and tagged bipolar disorder, Celebrate Recovery, Christian, depression, mania, mental illness, taking off mask, Testimony. Bookmark the permalink. You’re welcome. Thanks for the feedback. I hope you have a great rest of the week. I am sorry to hear this. Do you qualify for medicaid? Can you get on disability? Have you gone to your local NAMI or Mental Health Association. There also should be a mental health facility that helps people with no insurance. There is where I live, I know. 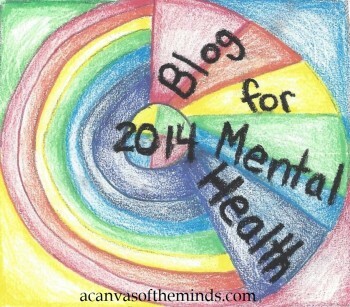 Pingback: Taking off My Mask: Testimony (Living with Bipolar Disorder) « Robby's Hobbies!